Welcome home to a beautifully maintained 3 & 2 home tucked in the heart of nature in Middleburg, located in Jennings State Forest! 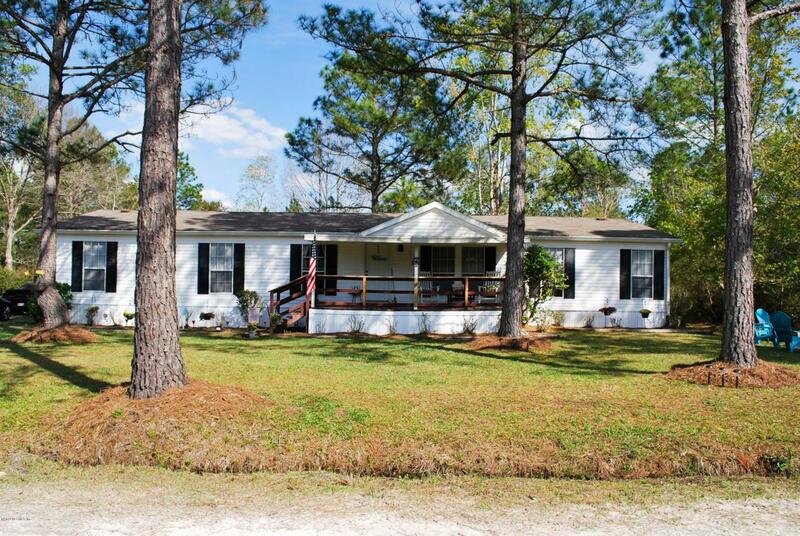 Sitting on 1.15 acres, this home boasts tall ceilings, a recently anchored foundation, a new well pump & bladder, a newer roof, a split & open floor plan, & plenty of room! Large storage shed for your lawn equipment & large well housing w/ room for storage. This home is all about privacy, peace, & quiet! Large back porch overlooks a large backyard & beautiful woods; fire-pit included! Conveniently located close to Route 218, US 301, and Blanding Blvd. Tons of counter space & an island in the large kitchen, w/ a breakfast nook off the kitchen & formal dining area opposite the living room. Sellers including a 1 year home warranty, & $1k paint & carpet allowance.